This week at Aidan Garlington Hair Design we’re focusing on another superb haircut from a recent client visit to our Baldwin Street hair salon in central Bristol. 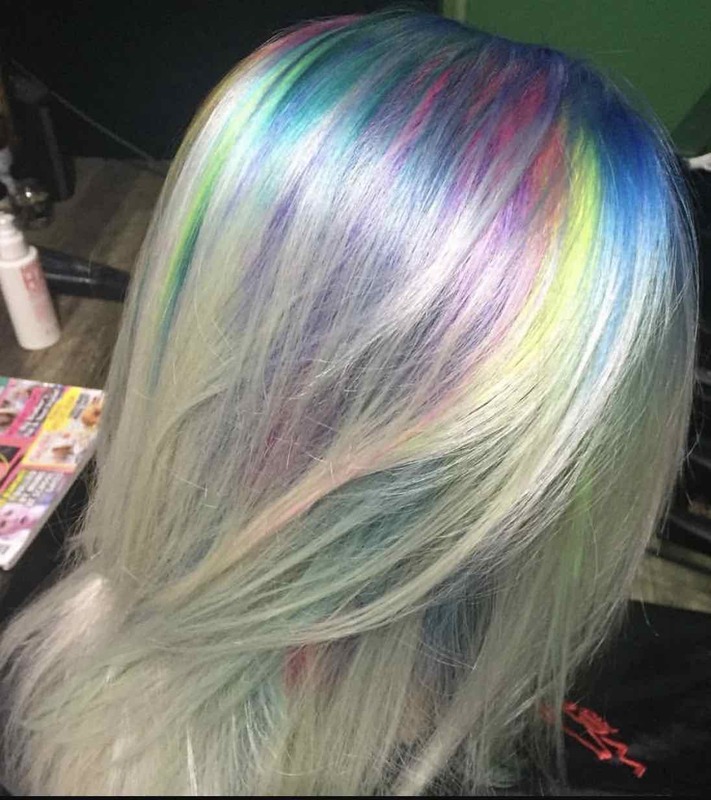 And this month’s top hairstyle is becoming a firm favourite – Rainbow Roots. It’s a popular fun haircut, and involves applying pre-lightener to lift colour. 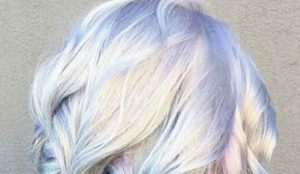 Our hair colouring experts in Bristol recommend L’Oreal Platinum as a great hair colouring product to lift colour as well as add tone for a Rainbow Roots cut. After applying pre-lightener, different colours are added into roots, depending on what the client wants. 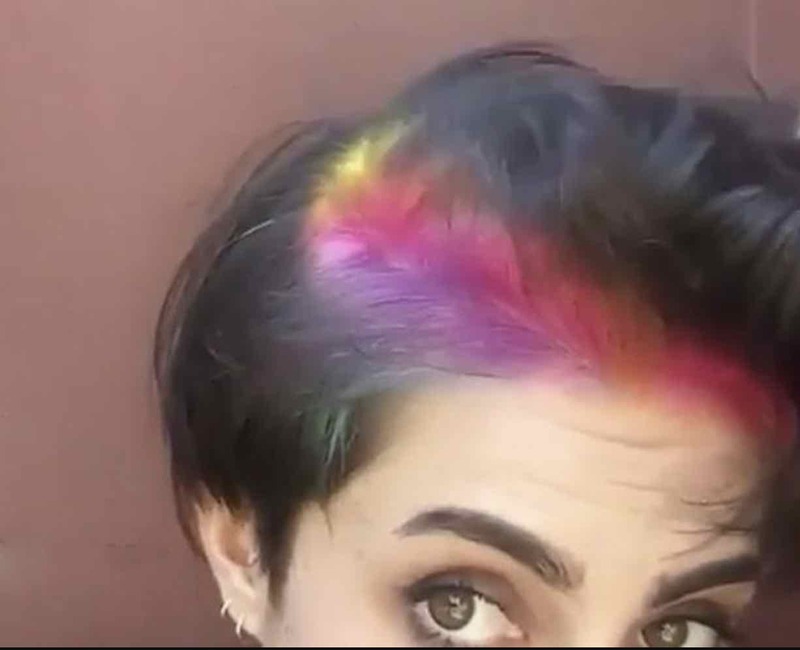 These can be semi-permanent, traditional hair colouring products, or temporary Hair Chalks which typically wash out in 3-5 washes without the need for pre-lightening. The toner colours are left in to process for around 20 minutes, then the hair is rinsed, cut and styled. It’s that simple. Semi-permanent Hair Chalks take about 20 minutes in the chair and cost from as little as £20, whilst full bleach and toning takes around two and a half hours with a cut and blowdry, and costs from £45. Our central Bristol hair colourists also recommend using gentle shampoo for daily maintenance, which should see tonal colours staying in the hair and looking vivid for up to four weeks. After that, we can apply a colour refresh if required, which only takes 30 minutes at our Baldwin Street hair salon. The Rainbow Roots is a fantastic hairstyle for an Undercut colour, which can also be covered up for work or professional purposes. It’s also a subtle hair colour, and our favourites at the moment are pinks and purples. 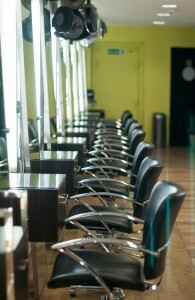 We also offer all clients a full and free hair consultation, to ensure that your requirements are fully met beforehand. Book yours today. 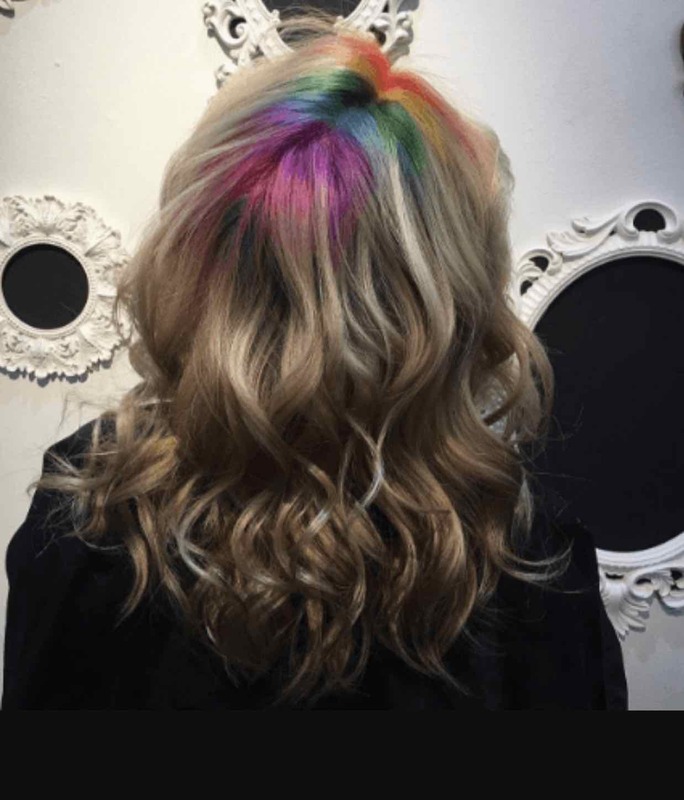 To see the full range of hair styling, haircuts, hair care, hair colouring treatments, hairdressing, hair colouring, hair treatments, and hair extensions we offer, please get in touch here. It’s been an incredibly busy 2017 so far at Aidan Garlington Hair Design and due to an increasing number of new clients, we’re in the fortunate position of now recruiting for an experienced stylist at our central Bristol hair salon. We’re looking for a passionate hairdresser, ideally with NVQ Levels I and II in Hairdressing, and four years hairstyling experience, gained in-salon. The position can be either salaried or self-employed, as suits the right applicant. 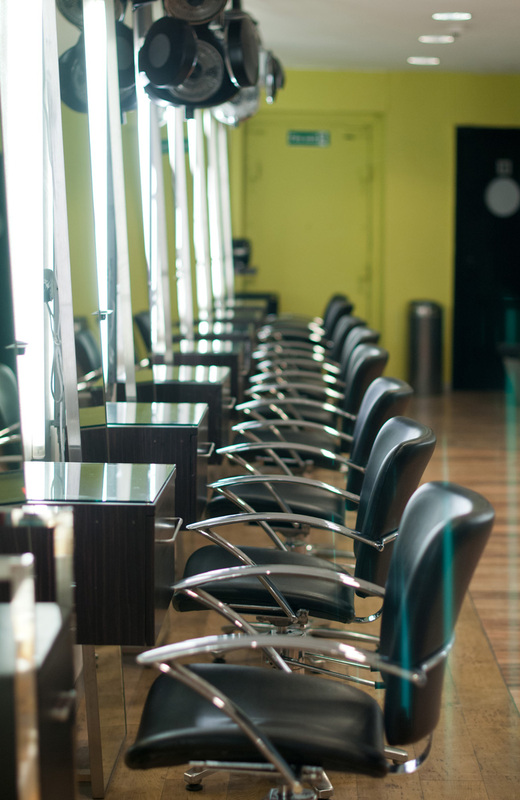 We’re looking for a committed and creative individual, someone who is dedicated to a full-time hairdressing career with a busy and professional hair salon in central Bristol. Ongoing training will be provided by Creative Director Aidan Garlington, and the successful hairstylist will be joining a team of hairdressers at our Baldwin Street hair salon specialising in hair extensions, hair colouring and fashion hairstyling in Bristol. To apply, please bring in a full, current CV and ask to speak to Aidan. To see the full range of haircare, hair colouring treatments, hairdressing, hair styling, hair colouring, hair treatments, and hair extensions we offer, please get in touch here. Our haircare specialists at Aidan Garlington Hair Design are focusing on some of the best hair colouring haircare products on the market this week from L’Oreal – Vitamino Colour. The Vitamino Colour hair product range available at our central Bristol hair studio is all about hair colour protection. The shampoo and conditioner, for example, are pH balanced and highly concentrated. These hair colour protection treatments provide high-quality hair care for any hair colour and any hair style. The Vitamino Colour range help to protect hair colour radiance and boost hair colour intensity. 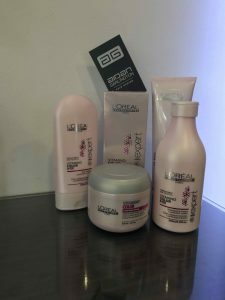 The entire hair product range works hard to gently eradicate residues in the hair, as well as being designed specifically for coloured hair. L’Oreal classify the Vitamino Colour range as their best hair colour radiance protection products available, and they are firm favourites in our hair salon. The range has recently been extended, to include anti-oxidant properties. This addition helps to give extra shine to the hair, without stripping out hair colour or reducing hair pigmentation. The Vitamino Colour Shampoo is usually £11.99, with the conditioner priced at £12.99, but if you mention this blog post in-salon at our Baldwin Street hair studio in central Bristol, you can get BOTH for only £20, whilst stocks last.